With Halloween in the rear view mirror, my thoughts have turned to the holidays which will be upon us before you know it. To be totally truthful, I'm always thinking about the holidays. What will I make to take to Thanksgiving dinner? What cookies and/or sweets will I make this year? How can I change up the décor or outdoor lighting designs? I have been baking for the holidays since early September. A couple of weeks ago I made a batch of vanilla-almond sugar cookies. 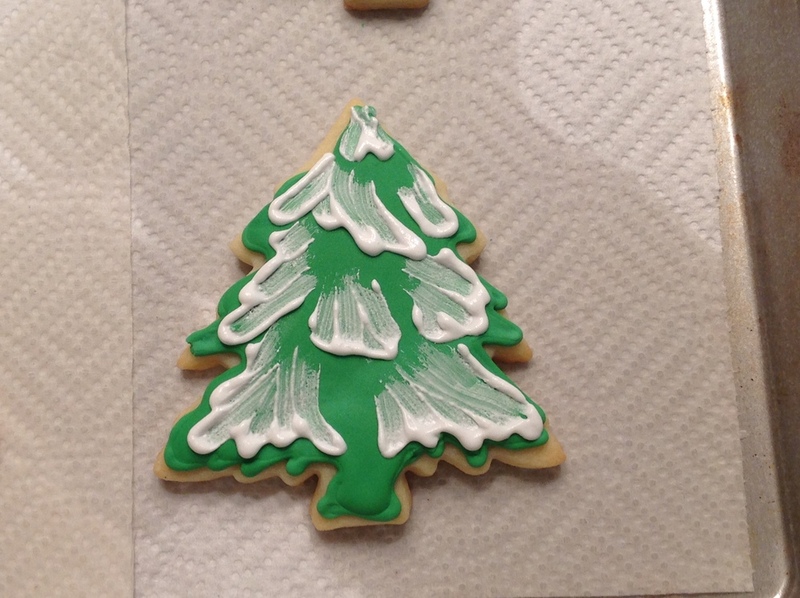 I cut them with a really beautiful tree cutter and iced them with green and white royal icing to resemble snow covered evergreen trees. What do you think? I achieved the snowy branches using a technique called brush embroidery. I've seen many cookies decorated using this technique and they are simply gorgeous! Check some out on Pinterest (if you dare!). I decided to try my hand with brush embroidery with these evergreen trees for the holidays this year. I am so glad I did! Let me show how so you can make some dazzling cookies using this technique. The brush embroidery technique requires a cookie which has a dry base coat of royal icing. You will need piping consistency icing, a small dish of water, a square tipped paint brush and a paper towel. You can get the paint brush at your local craft store. First, pipe a line of icing onto the surface of the cookie. 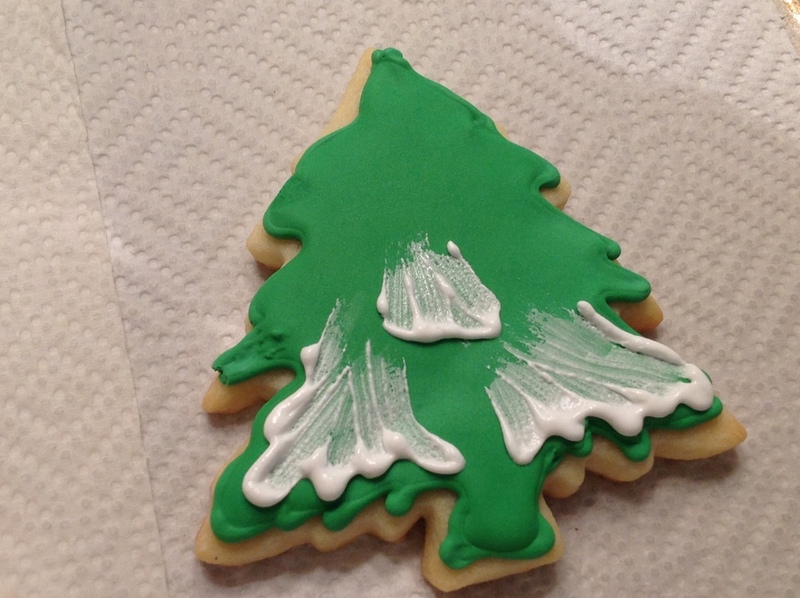 Wet the paint brush then pull the line of piped icing with the brush. That's it. You want to wipe the brush between strokes. Brush embroidery looks its best when there are multiple layers in your design like flower petals or, as with my cookies here, tree branches. To enhance the effect of the brush embroidery, you want to start with the lower branches and work you way up the tree so that the upper branches cover the lower branches, just as they do on a real evergreen tree. If you are working with a flower design, you will pipe and brush the outer petals and work your way in to the center of the flower so that the inner petals cover the outer petals. Brush embroidery is really quite simple once you get the hang of it. Give it a try!